Festivities and family -Making the most of the festivities. India is a country that has its clock set according to various harvest and religious festivals, and Bangalore has become a melting pot of communities from all over. Irrespective of geography, nostalgia is always accompanied by memories of food prepared around those times and family get togethers with relatives, friendly gatherings that are symbolic of “the good old days”. With urban living becoming increasingly nuclear and isolated, the importance of community driven festivity is all the more felt by parents who want to give their children a slice of their own childhood. Both parents working means less time spent together as a family, so those precious days when celebrations and holidays coincide, it is so important to make it an occasion to remember. No matter which part of the country you come from, if you now call Bangalore home, Diwali is then where the home is! The city has its own flavour that it lends to the festival of lights. It brings families and communities together. While the customary puja and worship is important, it is the delicious snacks prepared and exchanged among neighbours, and the late night card parties that make memories to last a life time. Here is our helpful Diwali checklist to ensure you get it right as always! The Sweets & Snacks : Stock up on karanjis, laddoos, murukkus, thenkuzhal and chivda… all the celebratory delicacies that are unique to your version of Diwali. Bangalore has several good options for those who do not have the time to prepare these at home. Are our top 3 recommendations for sweet and savoury items for your guests. They stock most of the snacks and sweets native to north and south Indian versions of Diwali. If you are vegan, no problem! Bangalore’s Carrots and JustBe restaurants have great options to celebrate the vegan way! The Décor : Stock up on pretty fairy lights and water drop lights to add an instant festive look to your home. All popular ecommerce sites have good deals and will give quick delivery. We recommend filling old glass vases of different colours with twinkling water drop lights and putting worn out silk sarees to good use by converting them into pretty pillow cases. Making your home festive doesn’t have to burn a hole in your budget. A few scented candles, pretty rangoli and home-made lights will get the family together and bring that anticipation of festivity that makes these celebrations special. 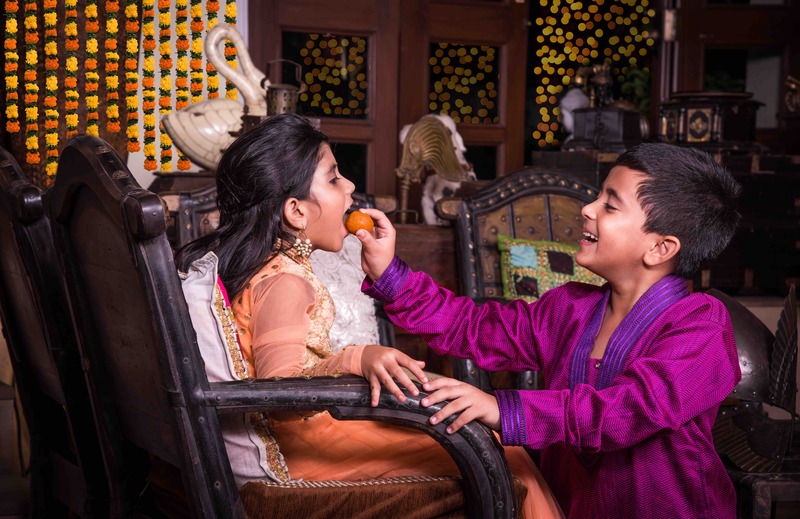 The Gifting : Exchanging gifts is an eagerly anticipated part of the Diwali celebrations. Mall based stores in Bangalore like Home Stop, @ Home and Home Centre, have great gifting options that are unique and useful as well. Mithai is the safe bet and online platforms like Place of Origin give you access to traditional sweets from all over the country. The Parties : Add to the traditional teen patti and try some fun games like Taboo, Pictionary and Monopoly! Kids will love Uno as well. Stores like Sapna Book House or Sapphire toys stock up on great games for kids as well as adults. Ditch the crackers: We recommend ditching crackers and saying yes to a pollution and noise free Diwali. Catch a new movie release at any of Bangalore’s multiplexes or enjoy a family dinner instead! We recommend ditching crackers and saying yes to a pollution and noise free Diwali. Catch a new movie release at any of Bangalore’s multiplexes or enjoy a family dinner instead!. Do Your Bit: In addition to all the revelry, sharing with those less fortunate is a great way of instilling empathy and a kind heart. Add smiles to the faces of children in organizations like Swanthana at Sarjapur Road by donating in any way possible. The best way to help children learn is by setting a good example, sharing the joy of the festival of lights is one way of doing that. Festivals are little bursts of joy that help us reconfigure our thoughts and reinforce the values of family and togetherness which are the fabric of our Indian roots. Celebrating them adds colour and joy to our otherwise busy lives! Go ahead … celebrate!